Cookies - A cookie is a small piece of information sent by a website that is saved on your hard disk by your computer's browser. It holds information a site may need to interact with you and personalize your experience. Any customer information we gather will NEVER be sold or shared with our affiliates, partners, or any other third-parties. By using this site, you are responsible for maintaining the confidentiality of your account and password and for restricting access to your computer. You agree to accept responsibility for all activities that occur under your account or password. 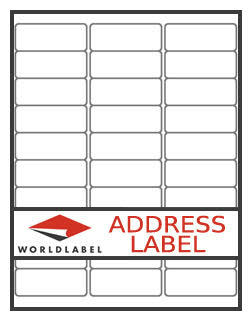 Worldlabel.com reserves the right to refuse service, terminate accounts, remove or edit content, or cancel orders at our sole discretion. Providing a secure shopping environment is one of Worldlabel.com's highest priorities. When our registration/order form asks you to enter personal information (such as your credit card number), that information is encrypted and is protected with the best encryption software currently available in the industry - up to 256-bit SSL high-grade encryption schemes depending on your browser settings (128-bit standard) provided by Thawte Consulting. If you have any questions or concerns regarding purchasing online, please feel free to call us and speak with a customer service representative directly to place your order. We can be reached from 9am - 9pm EST at 1-877-955-2235 or by filling out a support request.